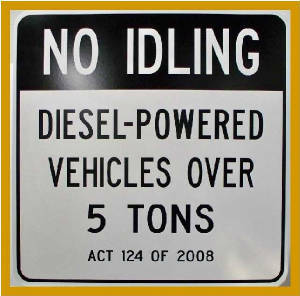 Truck Idling Laws By State is a compilation of information for diesel truck drivers. This information is intended to be a general overview and may not be complete. It should not be relied upon as a complete source of state, county and local restrictions as they are always changing. Trucks idle with good reason: for air conditioning in the summer and heating in the winter. Truck drivers spend most of their lives in a truck and this idling predicament has become a costly problem. The primary technology for idling your semi truck is, APUs or generators. Generators use a small diesel engine to generate electric power. Once you have electricity, you can use it to power an electric air conditioner or any of the devices you use for comfort and convenience. APUs are multifunctional devices. Besides driving either a generator, an alternator or both, they may power an air conditioner or an air compressor mechanically. APUs can also power an inverter, a device that changes 12-volt direct current to 120-volt alternating current, to provide 120-volt household current. Using household current gives you more options for heat and air conditioning for truckers. Many inverters also have circuitry to charge batteries without overcharging or damaging them. Cabs can also be warmed by heat pumps. Like air conditioners that absorb heat from one location, inside a cab or home, and transfer it to the atmosphere, heat pumps can also draw heat from air and release it into a cab. Heat pumps can be driven electrically, by generators or battery power, or mechanically by the APU’s engine. With many idle-reduction devices driven electrically, truck stop electrification is the most effective and economical power source. It is not just for truck stops, but for anywhere trucks might stop, including shippers’ and receivers’ yards and public rest areas. For a nominal fee, you get to plug into a post near your semi truck. Once your extension cord is connected between the post and your internal wiring, you have the power to provide all your electric needs and keep your starting batteries topped up. Truckers have common concerns regarding drivers safety and liability, which include getting enough sleep in a comfortable environment, staying within idling laws that vary in each state and community and a lack of information concerning the law. Not following the stipulated idling limits or breaking community ordinances may draw fines. Exemptions • Traffic or adverse weather conditions • Emergency or law enforcement purposes • Power takeoff involving cargo or work functions • Conform to manufacturer’s specifications • Maintenance or diagnostics • HOS compliance * Applies to engine warm up and cool down. Fines • Minimum $300. Subsequent penalties can range from $1,000 to $10,000. Exemptions • Traffic conditions/control • Vehicle safety inspection • Service or repair • Conform to manufacturer’s specifications* • Power takeoffs involving cargo or work functions • Prevent safety or health emergency • HOS compliance at truck/rest stop * To recharge hybird electric vehicles * Applies to engine warm up and cool down. Exemptions • Traffic conditions/control • Vehicle safety inspection • Service or repair • Conform to manufacturer’s specifications* • Power takeoffs involving cargo or work functions • Prevent safety or health emergency • HOS compliance at truck/rest stop • Operate intermittent equipment • Alternatively fueled vehicles • Attainment areas where air meets EPA quality standards * Applies to engine warm up and cool down. Exemptions • Traffic conditions or mechanical difficulties • Ensure safety or health of driver/passengers • Auxiliary equipment • Conform to manufacturer’s specifications* • Less than 20 degrees • Maintenance • Queuing to access military installation * Applies to engine warm up and cool down. Exemptions • Traffic conditions or mechanical difficulties • Conform to manufacturer’s specs* • Repair • Emergency vehicles • Using auxiliary equipment/power takeoff • Power during sleeping or resting beyond 25 miles of truck stop with available electrified equipment • Vehicle safety inspections * Applies to engine warm up and cool down. Time limit • No person shall cause, suffer, or allow any engine to be in operation while the motor vehicle is stationary at a loading zone, parking or servicing area, route terminal or other off stree area. Exemptions • Traffic conditions or mechanical difficulties • Heating, cooling and auxiliary equipment • Conform to manufacturer’s specifications* • Accomplish intended use * Applies to engine warm up and cool down. • Traffic conditions • Mechanical operations • Waiting or being inspected • Performing emergency services • Being repaired or serviced • Use of a sleeper-berth in non-residential areas before April 30, 2010 • Auxiliary power unit/generator set, bunk heaters etc. Five minute idle time. Idling beyond this limit is allowed for air conditioning or heating during federal mandated rest period. This exemption expires May 1, 2011. Also exempt include idling which meet the California low-NOx idling standard and when using an APU. 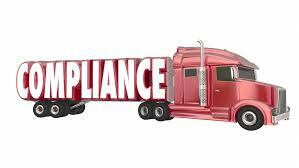 As of Sept 1,2009, trucks are no longer allowed to idle during federally mandated rest periods. Cities and counties in Texas that enforce idling restrictions have agreed to sign a memorandum of the Texas Commission on Environmental Quality that limits idling to five minutes at a time. The memorandum exempted idling during government mandated rest periods, but that exemption ended on Sept. 1.